If you happen to still be faithful to the BlackBerry platform, you will no doubt be waiting for Research In Motion to deliver their upcoming BlackBerry 10 saviour devices. All RIM has said in the past is that BlackBerry 10 would be coming in 2013, well now we know just when the Canadian company will launch BB10. According to a report over on Slash Gear, by way of BlackBerry Blogs, RIM is planning on holding an official BlackBerry 10 event on the 30th of January, and the event will happen simultaneously in multiple countries across the globe. However Research In Motion hasn’t yet revealed just where the BB10 event will be held. However, word is that the company will demo two BlackBerry 10 smartphones during the event and will also confirm the release dates for both demonstrated devices at the event as well. Thus it appears that finally Research In Motion is just about ready to unleash BlackBerry 10 on the mobile space in the hopes that the new operating system and smartphones will place them back in the game to compete against rival devices such as iOS and Android. Although recently an analyst did state that they believe BlackBerry 10 will be dead on arrival and ultimately fail in the mobile space, but then again analysts have been known to be wrong from time to time. Apparently Thorsten Heins broke the news of the BlackBerry 10 event date stating that the company set about creating BlackBerry 10 to deliver a truly unique mobile computing experience, which constantly adapts to the users needs, and will bring to the user innovative features along with a best in class browser. The CEO of RIM also stated that the Canadian company is looking forward to getting BB10 into customers hands around the world, whilst believing their customers will have the best possible experience with BlackBerry 10. So there you have it, we should see at least two BlackBerry 10 smartphones at the end of January 2013, but what do our readers think about BB10, do you believe it will be a big success for RIM, or do you believe the Canadian company has simply left it too late? 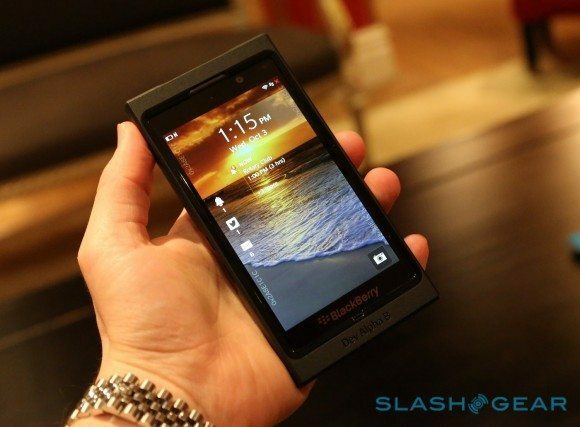 It’s risky to release a phone at this stage but for Blackberry, they may have something worth waiting for. For Blackberry 10 to be successful it is vital that the phone has 4G compatibility and more applications, a failure of wider applications and no 4G could see Blackberry 10 suffer in the current market, many phone users who use the iPhone or Nokia or Samsung all have plenty of applications which helps users everyday. The Blackberry App World has been open for a long time so it is now expected at least to have more applications. With their current marketshare at 16.6%, Blackberry needs to surprise it’s users in order to retain customers and make sure that their device stands out from its competitiors.